We live in a curious age in which the term ‘fake news’ has become part of our everyday language. For those of us interested in studying the past, we have perhaps long been aware of the idea of ‘fake history’. Whereas many incorrect ideas, myths and legends of the past rarely received attention, the rise of the internet, and social media in particular, has unfortunately blown the doors wide open, and many instances of ‘fake history’ are increasingly gaining traction amongst groups of like-minded individuals unwilling to entertain factual-based arguments which contradict their inflexible opinions. These individuals, and they are rife on the periphery of the study of any period of history, may not be able to tell you how or why they stand by a misguided view, but they will ardently hold on to their belief in the face of overwhelming evidence to the contrary. 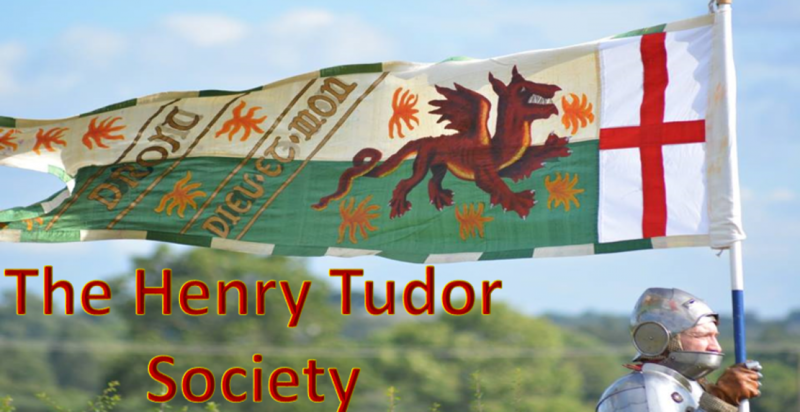 Unsurprisingly, Henry VII is but one subject who has come under fire in recent years due to the rise of social media, with academic study of several centuries of standing casually abandoned, or even ignored, and new ‘facts’ established on little sound basis. There is a degree of irony to this, as it is Henry’s predecessor Richard III whose reputation has suffered from many half-truths in the past. It seems as one legend about Richard is dispelled, another about Henry receives new attention. I do wish to address two common, animal-related, ‘facts’ however, that I often witness online being raised to cast Henry VII in a negative light. They are the mischievous monkey he supposedly, and the dogs he apparently ordered ruthlessly hanged. What is the evidence that either of these events occurred? First, the monkey. The story goes that King Henry had a pet monkey that he couldn’t control, and one day the infuriated monarch discovered the monkey had ripped his beloved accounts to shreds. Now, such an incident occurring isn’t completely unfathomable, for monkeys were known to be present in the later Tudor court. 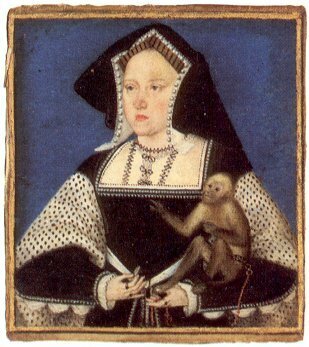 Due to their rarity, owning a monkey was considered a high-status symbol, and one prominent Tudor personality who probably owned one was Katherine of Aragon, who was painted with one in the 1520s. 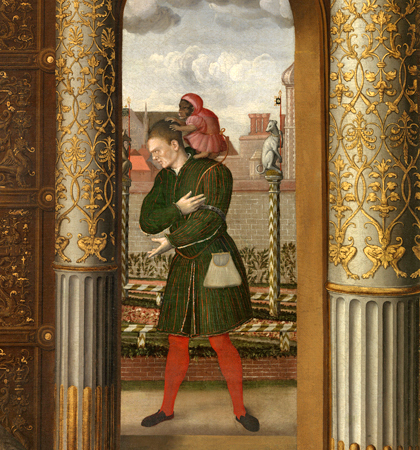 In the famous painting of Henry VIII family painted around 1545, the king’s fool, probably Will Somers, is shown in the background with a monkey perched on his shoulder. According to an early twentieth century account of the history of Magdalen College, Oxford, meanwhile, Henry VII’s own son Prince Arthur was supposedly shown some marmosets whilst vising the college’s lodgings, which greatly amused the child. The source for this, however, is not given, which is not necessarily to deny it happened, of course. And yet, there is no known contemporary reference to Henry VII owning a monkey, much less keeping one in close proximity as a pet. Needless to say, there are consequently no known records of a monkey running riot in the king’s chamber and tearing up his work. Vergil, Andre, Hall, Fabyan or any other early Tudor chronicler fail to make mention of the king’s pet. So, where does this story stem from? The answer appears to be the pen of Francis Bacon and his seminal work The History of the Reign of King Henry VII, an autobiographical account completed in 1622, almost 113 years after the death of its subject. Francis Bacon was a lawyer, ambassador, philosopher and member of parliament during the reign of Elizabeth I, who rose high in favour during her successor James I’s reign, becoming Lord Keeper in 1617 and Lord Chancellor in 1618. In 1621 Bacon was made Viscount St Albans, although he fell out of favour that year when accused of bribery. He was fined, imprisoned and banished from London, at which point he focused on his writing during his enforced absence from court. Between June and October 1621, using only the sources available to him from his own library, Bacon composed The Reign of Henry VII, which he hoped would return him to royal favour. “There is to this day a merry tale; that his monkey, set on as it was thought by one of his chamber, tore his principal notebook all to pieces, when by chance it lay forth; whereat the court, which liked not those pensive accounts, was almost tickled with sport”. With no extant mention of this in the intervening century, one must wonder if this wasn’t just a tale conjured up in the creative mind of Bacon. And yet, the merry tale does indeed persist, used on social media as a proverbial stick to beat the pensive, brooding Henry VII with – the secretive despot hunched over his journal. Bacon is no more a primary source than you or I, and until a more credible contemporary source comes to light, the account must be viewed with suspicion. What about the king’s apparent penchant for hanging dogs, to prove a point about loyalty? To the modern, animal-loving reader, raised to love dogs, what an horrific crime it would be slay dogs in such a ruthless manner. The claim goes that Henry, often beset by worries of treachery amongst his wayward nobility, wished to make a point about enforcing the natural order of society, and thus arranged for some dogs to combat one of his lions. When the dogs overwhelmed and killed the lion, against the king’s expectations, Henry was infuriated that the ‘king of beasts’ had been defeated, and duly hanged the dogs as a warning of what happens to traitors. It is a fanciful allegory that could have been straight out of a Shakespeare play, and suffice to say, again there is no known contemporary evidence to suggest such an event took place. The earliest record I have found of this story is by a clergyman known as a William Harrison, who in 1587 composed a chapter titled ‘Of Our English Dogs and their Qualities’ as part of a revised edition of Ralph Holinshed’s Chronicles of England, Scotland and Ireland. Harrison’s work is likely to have been inspired by Arthur Fleming’s 1576 offering ‘Of English Dogs’, and both are written seven decades after the death of Henry VII. More importantly, their work is intended to proclaim all the positive virtues of English dogs, with Harrison unabashedly noting in his introduction: “There is no country that may (as I take it) compare with ours in number, excellency, and diversity of dogs”. The ability for an English dog to slay a lion was clearly beneficial to this narrative. In Harrison’s works: “King Henry the Seventh, as the report goeth, commanded all such curs to be hanged, because they durst presume to fight against the lion, who is their king and sovereign”. Now this may very well have been a popular report by the 1580s, but that is not necessarily to say it was true, particularly in light of any earlier reference and Harrison’s penchant for descriptive, perhaps embellished, prose. It should be noted that Shakespeare is believed to have used the Holinshed Chronicle heavily for his own work, much of which has since been criticised for its lack of accuracy. I hope I have shown with these two examples how easy it is to repeat something one has read repeated through history as fact, when the reality is that such facts have uncertain origins. Of course, such is the genius of the original writers, and our own tendency to accept we have been misled, I doubt this will stop such half-truths from being uttered to further one’s agenda to criticise Henry VII. Let it be said, however, if anyone does have contemporary evidence of either of the above events taking place, please do share it in the comments section below. Although unlikely to have occurred, both stories are, undoubtedly, fascinating little stories of a period that continues to fascinate. Nathen Amin is the author of the first full-length biography of the Beaufort family, ‘the House of Beaufort’, released in 2017 and an Amazon #1 Bestseller for Wars of the Roses. He is currently working on his fourth book, Pretenders to the Tudor Crown, due for release in 2019. Excellent post and very entertaining, thanks. Thank you for an interesting and informative article. To point out a small error in paragraph 7, Bacon’s work is a biography, not an autobiography. As far as the monkey story goes, I have no problem accepting it in its original simple form as Bacon wrote it. (I don’t defend the writers who have embroidered the basic story.) There are stories which have been handed down orally in my family over a similar number of years — for example, a certain pioneer ancestress, b. 1783, who claimed “the food always tasted better when they were moving.” A simple thing like that may be handed on for a long time, I have found.